Harper's Weekly, vol. 9 (1865), p. 709. 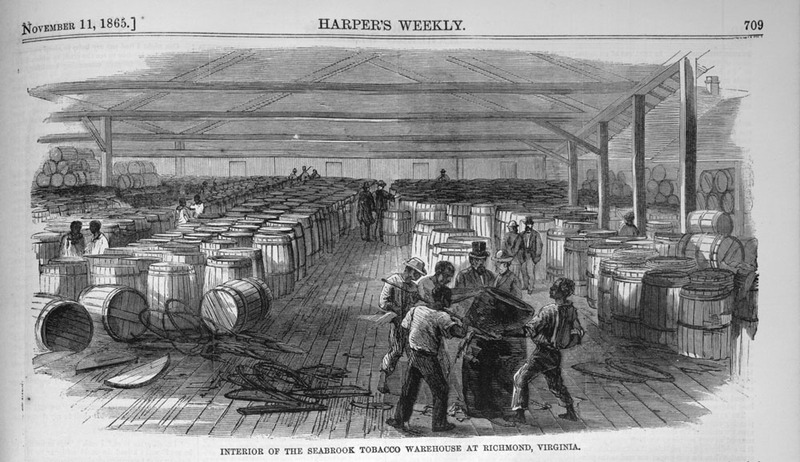 Shows the interior of the Seabrook warehouse at a time when Virginia was the leading producer of tobacco in the U.S.; the warehouse had about 21 laborers, all black.